These are my knives for the Tactical Knife Invitational 2016. 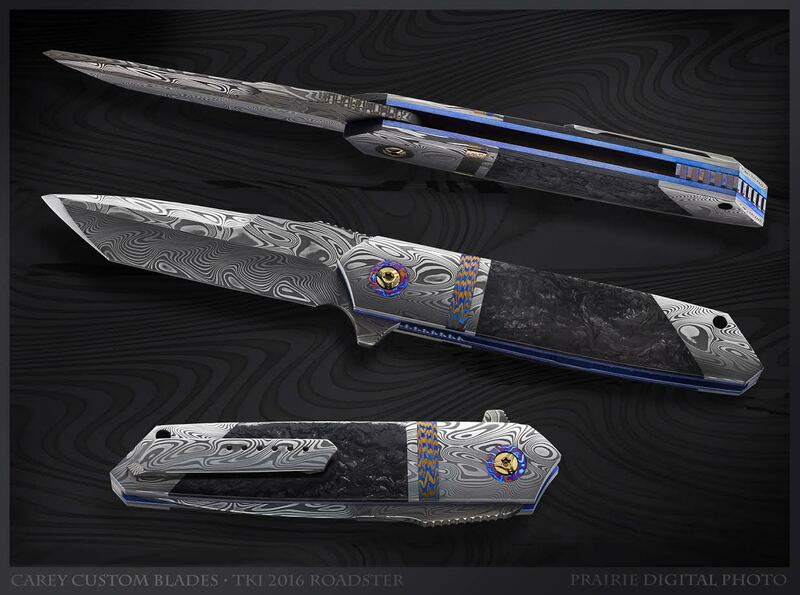 Roadster with Thor Damasteel blade, bolsters and pocket clip, marble carbon fiber scale, Timascus back-spacer, pivot ring and stripe. Has hidden screws and runs on bearings. 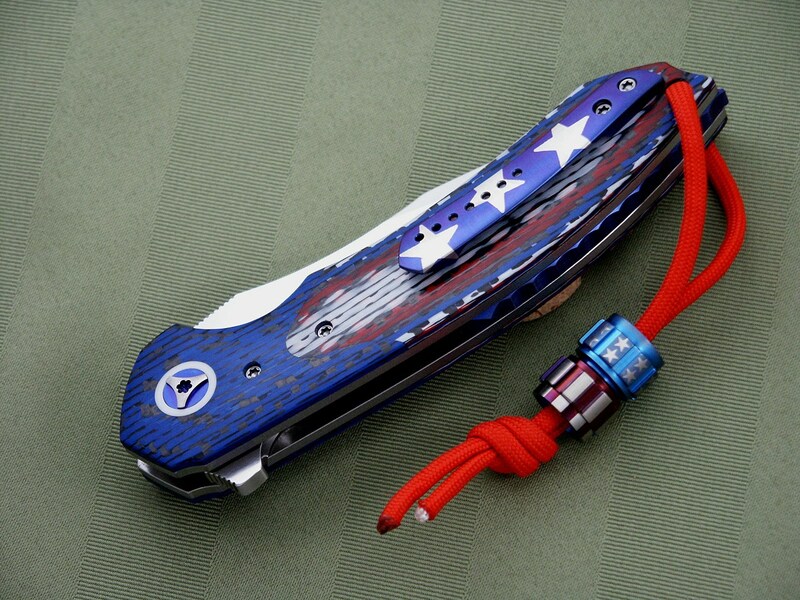 Cornerstone in a patriotic theme! 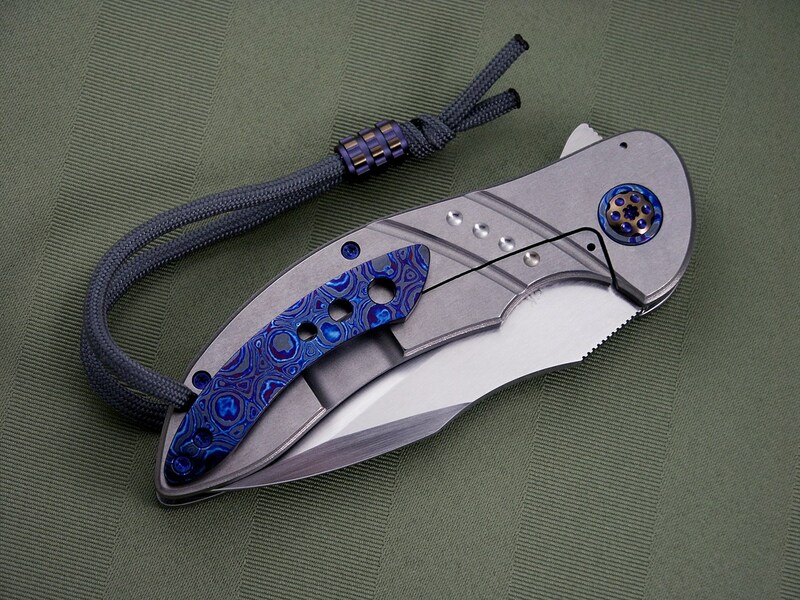 Blade is hand rubbed Stellite 6K, Custom made multi-colored carbon fiber bolsters & scales, 3D anodized Titanium pocket clip, back-spacer and lanyard bead. Titanium pivot & screws. Runs on bearings. 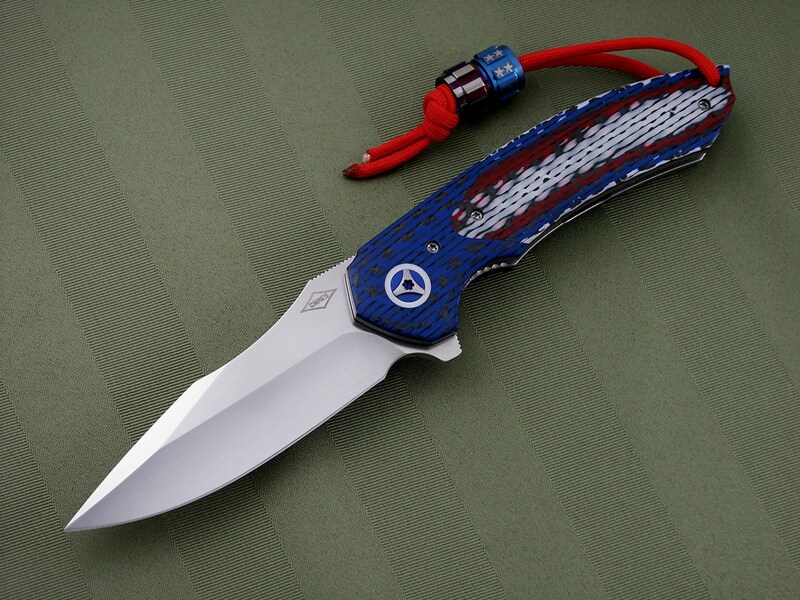 A Cure with a Thor Damasteel blade. 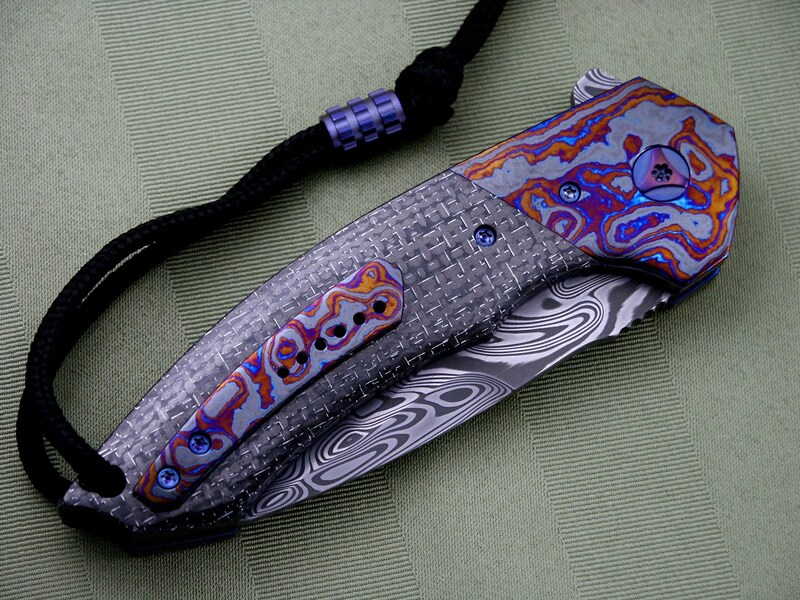 Black Timascus bolsters and pocket clip. 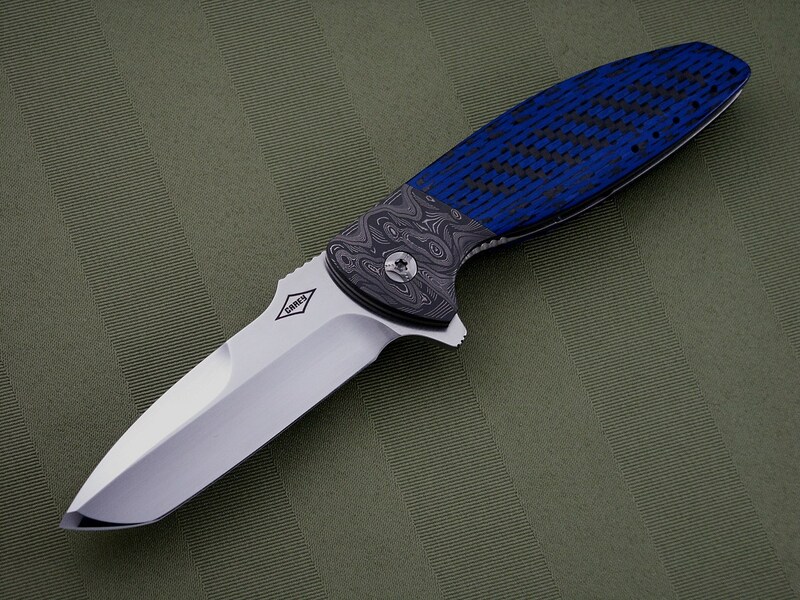 White lightning carbon fiber scales. 3D carbon fiber back-spacer. Custom Carey lanyard bead. Titanium pivot & screws. Runs on bearings. 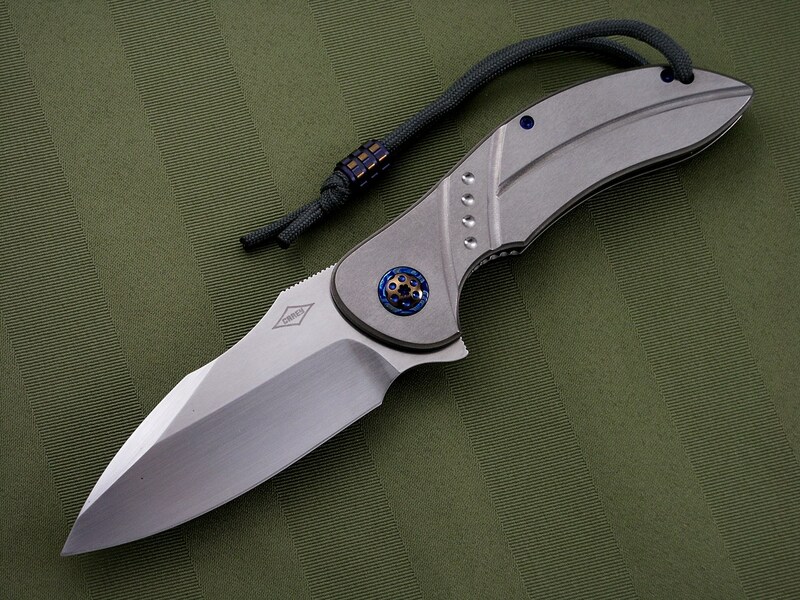 A Tory with Norris Gator Skin SS Damascus blade & pocket clip. Genuine Super Conductor bolsters and pivot inlay. 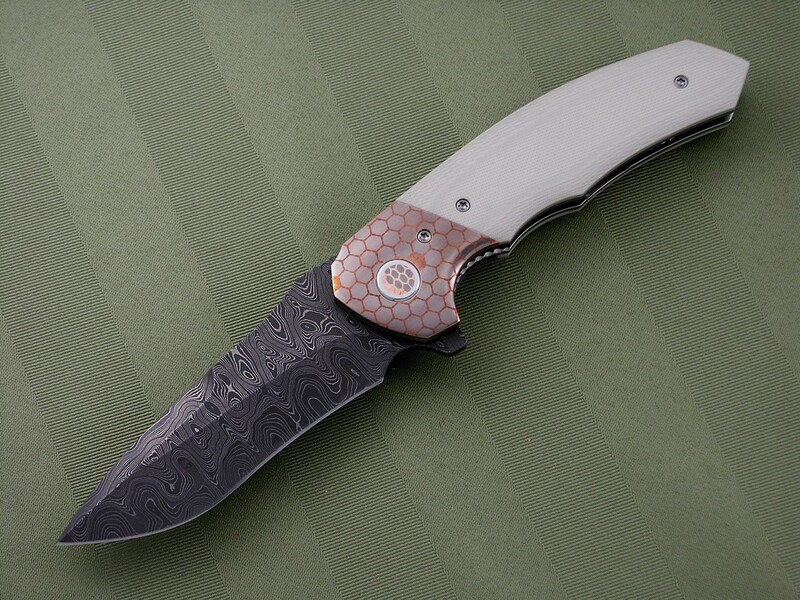 Tan G10 scales. 3D carbon fiber back-spacer. Runs on bearings. 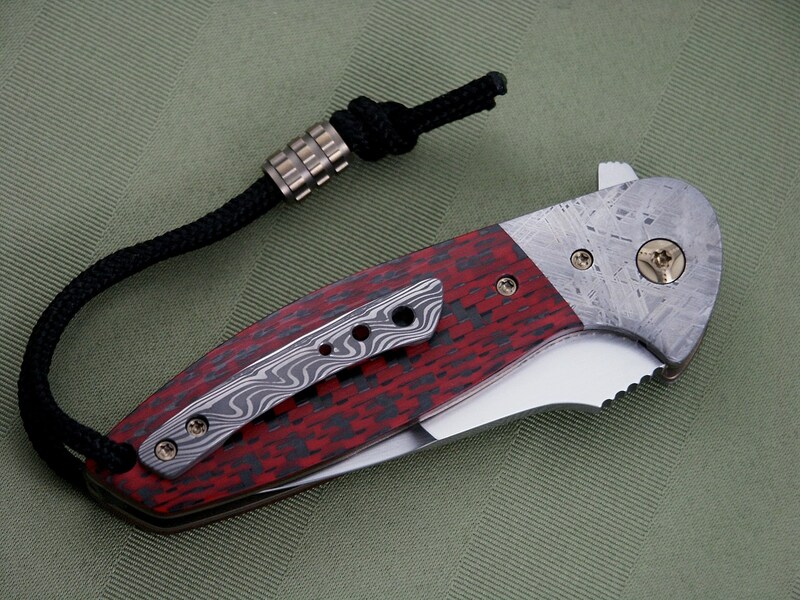 Nitro Mini with a hand rubbed CPM154 blade. Gibeon Meteorite bolsters. 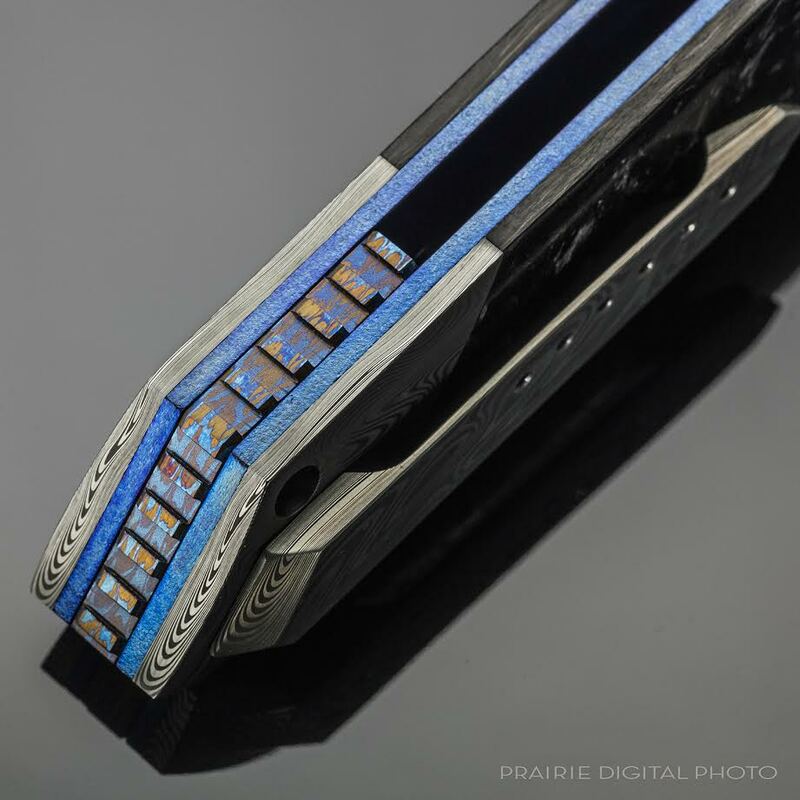 Custom color carbon fiber scales. 3D carbon fiber back-spacer. 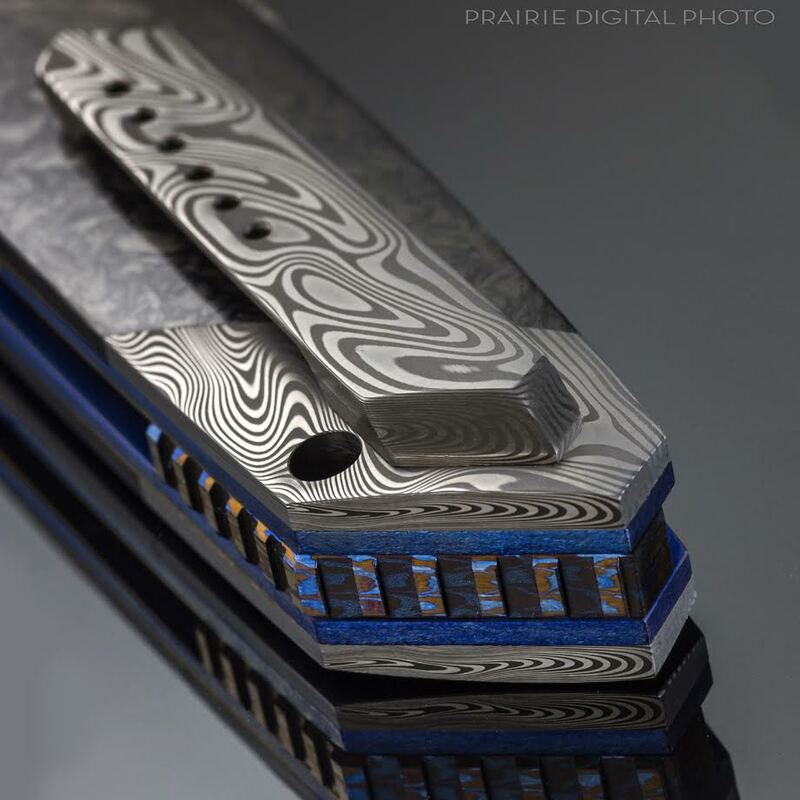 3D Damasteel pocket clip. Titanium pivot & screws. Custom Carey lanyard bead. 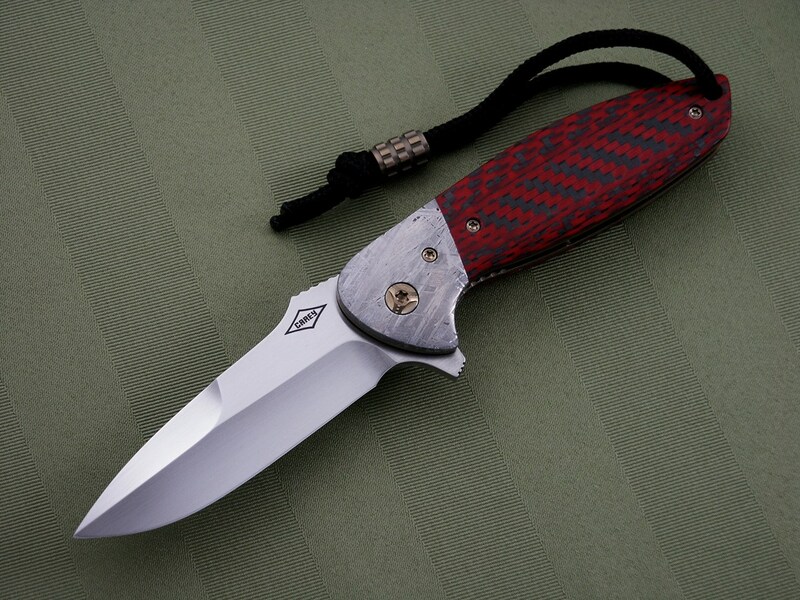 Cayman with a hand rubbed CPM154 blade. 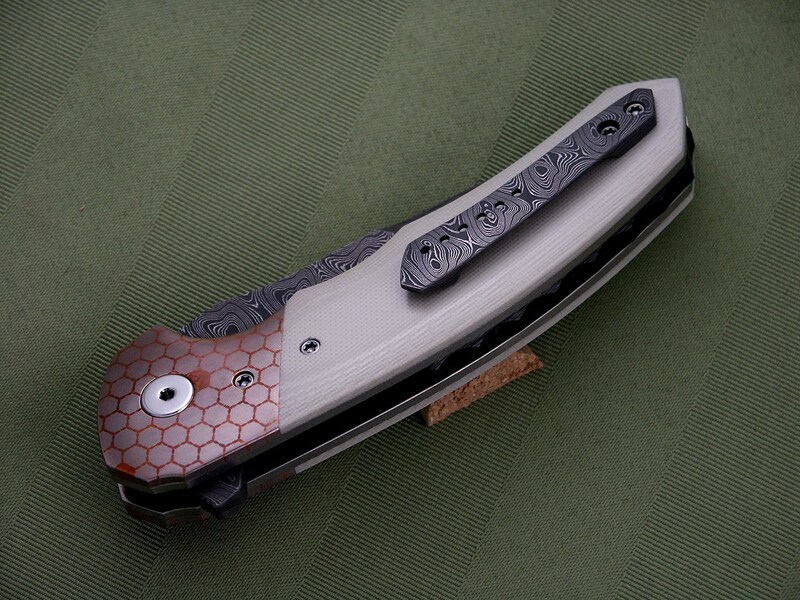 Norris Hornets Nest SS Damascus bolsters & pocket clip. 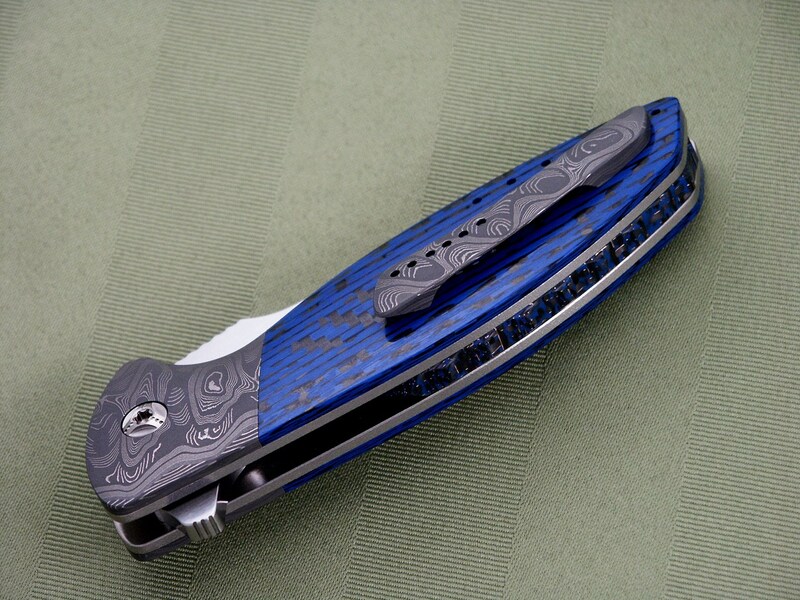 Custom colored carbon fiber scales. 3D carbon fiber back-spacer. Hidden screw construction. Runs on bearings. 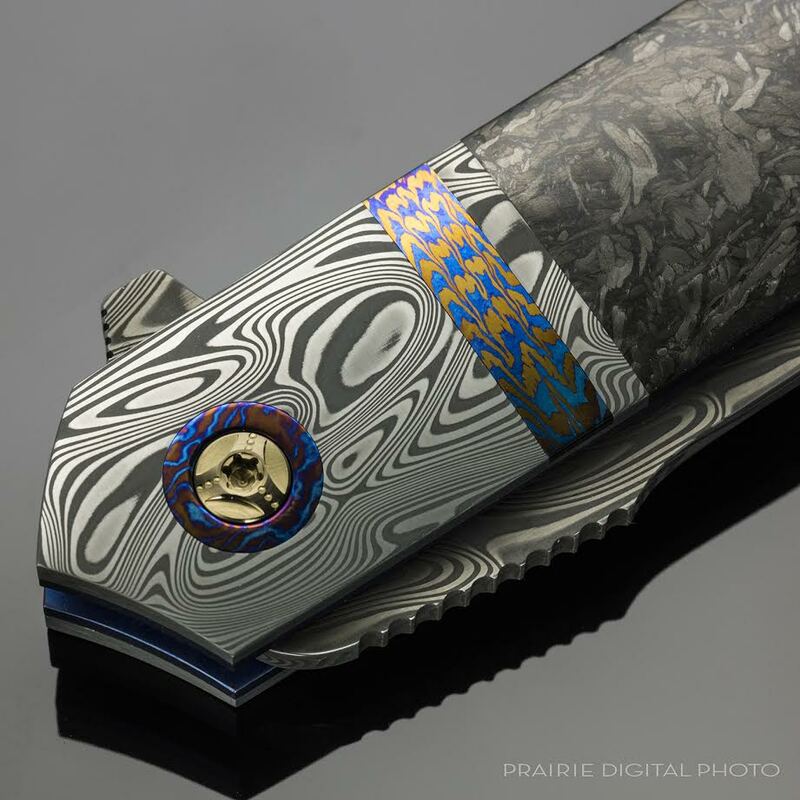 Tremor F Covert with a hand rubbed Stellite 6K blade. All frame milling done with a Pantograph not CNC! 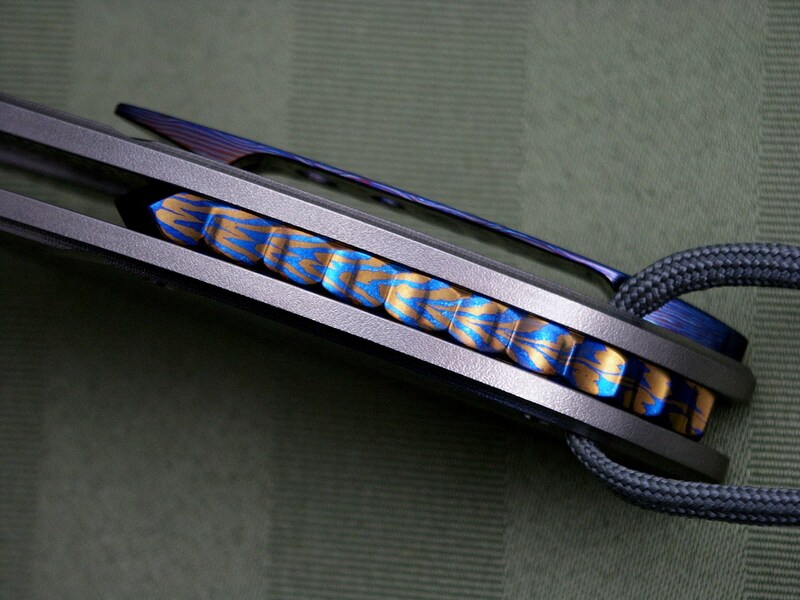 Black Timascus pivot ring & pocket clip. 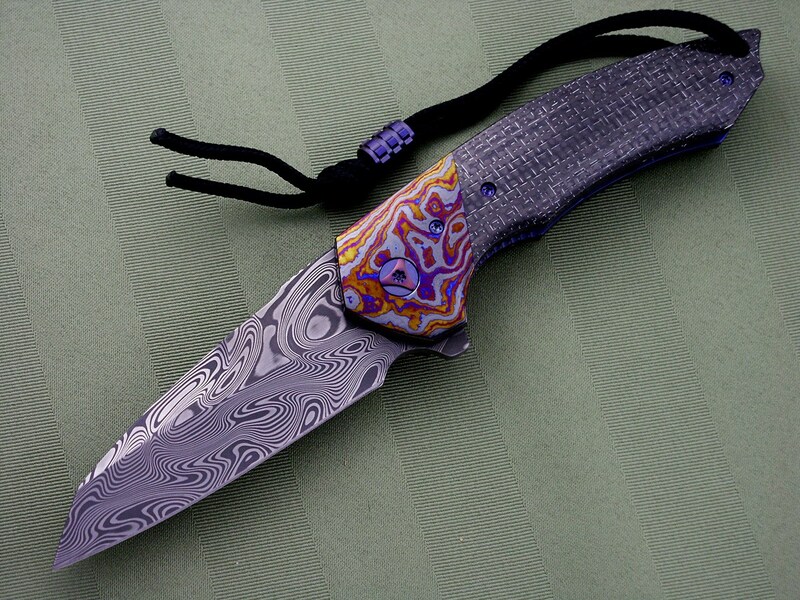 Shockwave Timascus back-spacer. Titanium pivot & screws. Runs on Ceramic ball bearings and detent. Custom Carey lanyard bead.